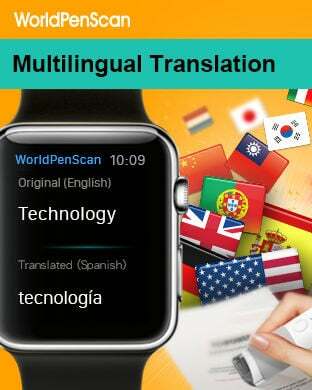 *** Use this app with WorldPenScan X will maximize text input and translation performance. - With Bluetooth 4.0 (BLE), the scanned data can be sent to iPhone/ iPad / Apple Watch or Win/Mac(via USB) instantly. - No need to type anymore. Only 1 second is needed to recognize one line of words. You can extract and reuse data easily and efficiently. - For iPhone/ iPad users, WorldPenScan X can recognize multiple languages such as Traditional Chinese, Traditional Chinese (Hong Kong), Simplified Chinese, English, Japanese, Korean, French, German, Italian, Spanish, etc. - For Win/Mac users, WorldPenScan X can recognize nearly 200 languages. - Users can check the translations, examples, and pronunciation of the scanned words directly on multiple platforms. 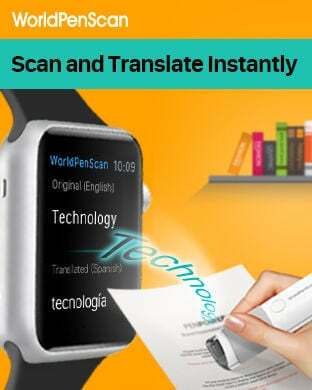 - While reading foreign documents, WorldPenScan X's sentence translation function will help you understand the content and improve reading efficiency. - Built-in Chinese-English and Chinese-Japanese dictionary for offline use. - WorldPenScan X can be used in various applications, such as SMS, email, Facebook, Line, whatsapp, to share what you scan or translate. - For Win/Mac, you can enter scanned data to Office software (Word/Excel/PowerPoint), Email software (Outlook/Outlook Express/Web mail), websites, and so on. - Tap the shortcut button to search for the scanned data on Google, YouTube, and Wikipedia. You can extract and reuse data easily and efficiently. ◆Limitation: Before pairing with WorldPenScan X, you can only use the dictionary function for 300 words.